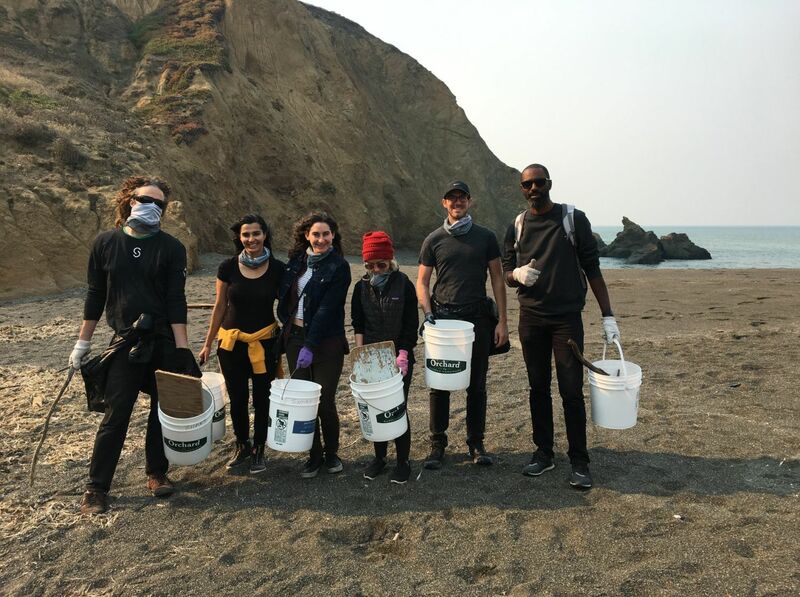 Thanks to our beach cleanups, habitat restoration events or school assemblies, we educate adults and kids from South Daly City to South Half Moon Bay. 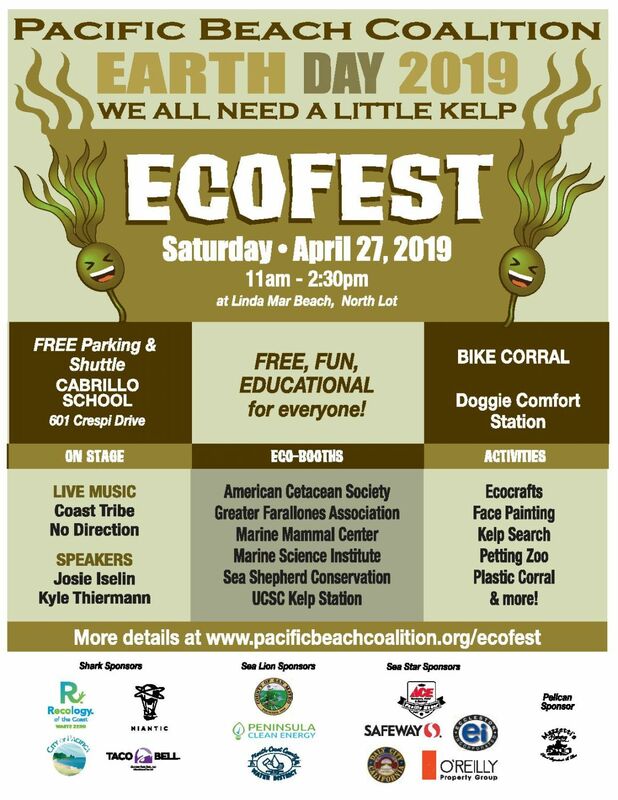 We bring awareness of the trash situation in our community, ocean and around the coastline. – Mrs Perrin Belway who brought 20 students to our MLK 20th Annual Day of Planting. – Edward Mcnicoll. 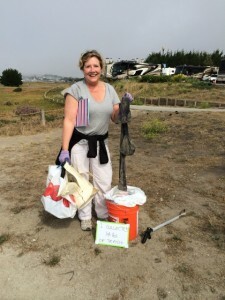 A volunteer who made us start our monthly Tunitas Creek Beach Cleanups. 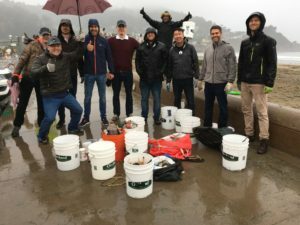 – Equinix Impact who came for a volunteer day with our Corporate Volunteer Give Back program. “Our focus at Rakuten USA for our 2017 CSR program is specifically on the environment. 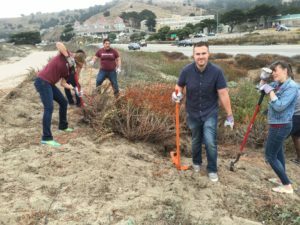 Working with the Pacific Beach Coalition has been a wonderful experience giving our employees a lot of knowledge on the environment while providing a fun team building activity.” – Kiko P. from Rakuten USA who came to remove weeds. – Christina Hyun from Nueva School – 5th graders came for a beach cleanup and Habitat Restoration at Rockaway switchbacks. Planted a section of the switchbacks, removed cape ivy from the rocky patch on the bluff and made seed balls with native seeds. “Thanks so much, Lynn! 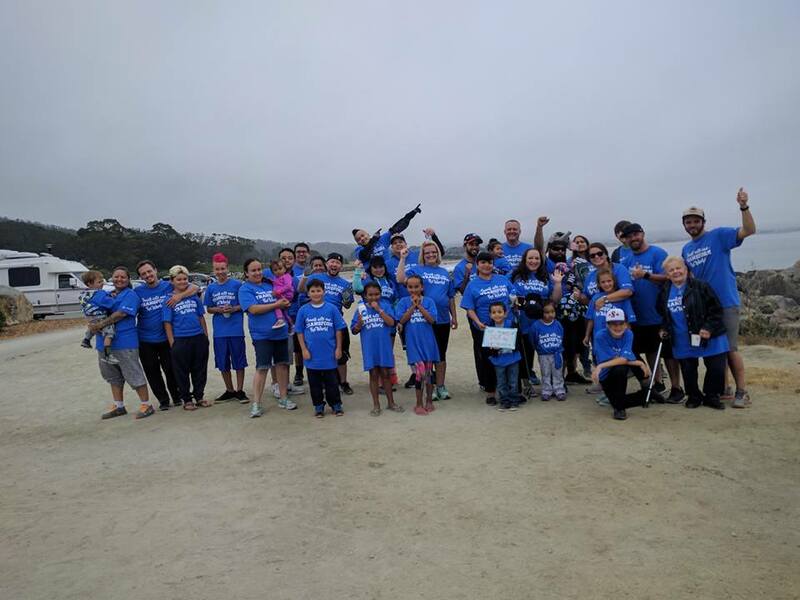 Our team had a lot of fun and it was definitely great team building.” – Jennifer Shearer from Eversight talking about our Give Back program. “A big thank you for all that you have done to educate the students. You have been very accommodating over the years and setting up the various locations throughout Pacifica. The students at Park Mall were especially eye-opened! Collecting over 1 thousand cigarette butts in the ba ck area. One student commented on how they were cleaning up butts while a worker (adult) threw his on the ground! They were totally grossed out at the amount of garbage lying around the area. Awesome learning moment! – Kim a volunteer who came to cleanup at Pillar Point. “A BIG thank you for leading the 5th grade beach clean-up day! I heard from the teachers that it went very well and the kids had a great and informative time. I really appreciate all your efforts to make it a success and to help steward these young environmentalists.” – Tammy Crown talking about the Beach Clean-up Day for The Nueva School. – Shane Gallagher from ADT Security who brought his team out for a beach cleanup. 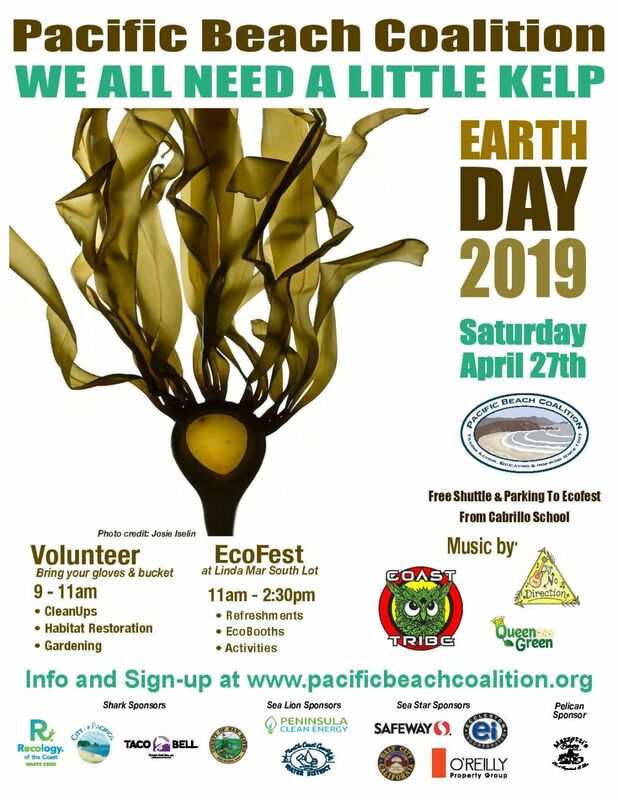 “It was good to see you and the Pacific Beach Coalition team at the Whale Town, Dolphin City event on Friday. It was an educational and enjoyable event for our family. My young kids who love whales & dolphin learn how our daily actions can impact their beloved animals. It will serve as a good reminder for us to reduce/reuse/recycle. My girl now keeps asking me whether something is made of plastic and if so, she’d refuse to use it…and we would come to one of the beach clean ups soon! “I thought you and your team might appreciate hearing that my daughter and I enjoyed learning more about recycling through your coalition’s educational resources page. Several of the items you’ve listed there have been very helpful to us, she was even able to reference some of this information for her last school project on sustainability! I apologize for just getting around to reaching out, but wanted to thank you for taking the time to put this together, and sharing with us” – Tracy and Annie E.